Read About Eric Murphy’s ISE 2014 Experience! In this blog post, we hear from the Video Systems Division’s Global Solutions Manager, Eric Murphy! 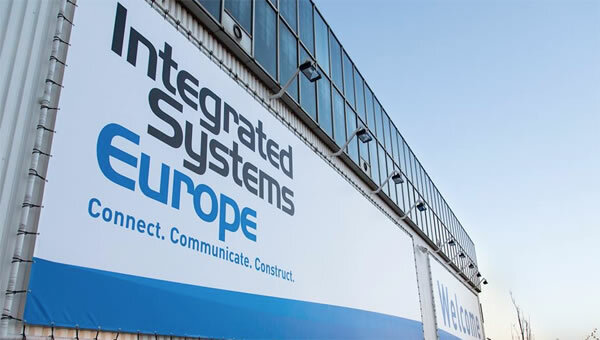 Eric recently attended the Integrated Systems Europe (ISE) event, the world’s fastest growing show in the professional AV and electronic systems space. Read on for his thoughts! I just returned from the 2014 ISE show and once again reaffirmed that Amsterdam is a great city for this event! Transportation, restaurants, and entertainment were all top rate! Inside the convention center, the show was equally as impressive. According to show organizers, ISE 2014 was the best attended ever, with a 15% increase over 2013 and visitors from 130 countries. This year Compunetix also highlighted its expanding relationship with AVer; today Compunetix is an official Global Reseller of the AVer HVC and EVC video conferencing product lines. The AVer endpoints have hit the market with remarkable performance and at a cost that will turn the head of even the most brand-loyal decision maker! Combined with Compunetix infrastructure and the VMCU Cloud Enablement services, this duo is becoming a popular choice not only for organizations that are new to the market, but also for long-time collaboration professionals seeking to expand their ecosystem without the traditional expenses. ISE 2014 was a great show, and I am sure we will be back next year with new products and services to share.